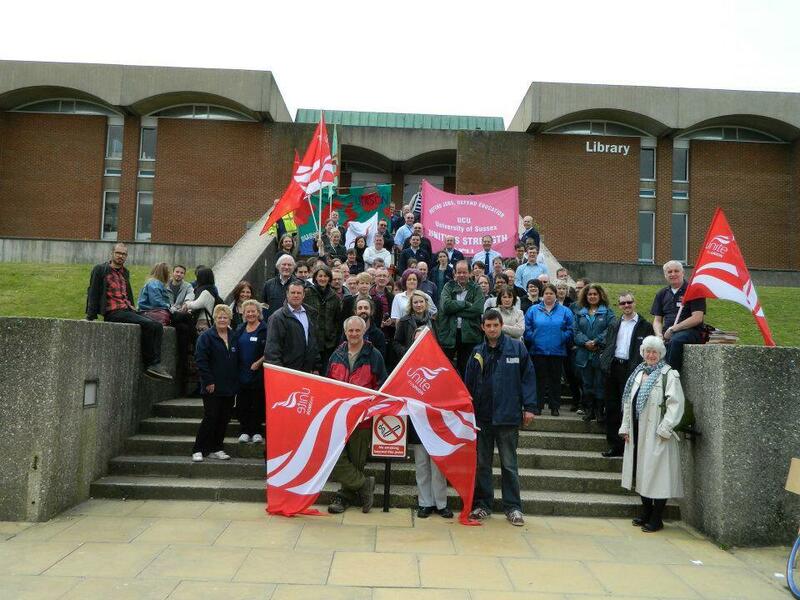 For over six weeks now, united in solidarity with workers whose jobs are under threat, increasing numbers of University of Sussex students have occupied the university’s profitable conference centre in protest against plans to privatise university services. 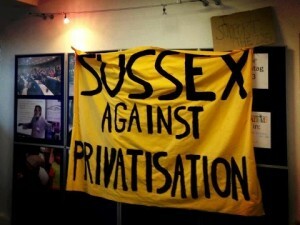 This action has put Sussex at the forefront of the campaign against the commercialisation of education and the ever-increasing drive to privatise all non-academic services. 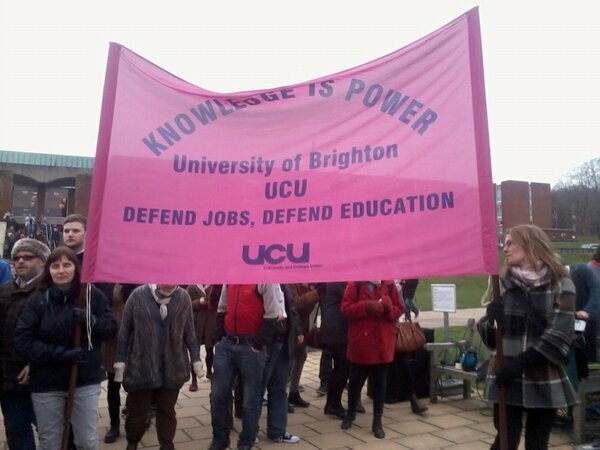 On Monday 25 March the University campus at Falmer will become the focus for a national demonstration opposing the marketisation of education so beloved of Tory Education Secretary Michael Gove. This demonstration is being held at Sussex to show support for the occupation. We have supported this action from the start as we believe it’s an important part of the struggle to defend state education for everyone. We urge everyone who can to come along on Monday to support the demonstration. Take branch banners and flags with you to show who you are bringing solidarity greetings from. Contact us if you would like to take a turn on one of the poles of the Sussex LRC banner. The latest press release from the occupation can be read here. If they haven’t already, please lobby your MP to sign EDM1216 on University Outsourcing. You can keep up to the minute with events by following @occupy_sussex on twitter and via the Sussex Against Privatisation website. Show your solidarity with the occupation by adding your name to the many supporters already listed on their website. We should all be inspired by the Sussex occupation – and stand together in unity with workers and students there. ← Worthing Defends the NHS!